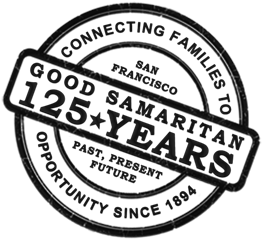 Mario Paz has led Good Samaritan for 12 years, overseeing its successful geographic expansion to include the Bayview and Potrero neighborhoods as well as its long-standing Mission District presence. Mario is a passionate nonprofit and public service leader who has served children, youth, families and communities for over 30 years. He has worked as an organizer, counselor, director, consultant, policy advisor and foundation program officer. A member of numerous boards of directors, he currently serves on San Francisco’s Immigrant Rights Commission, the Mission Council, the Athletic Scholars Advancement Program, and the San Francisco Interfaith Council. Mario has received recognition and awards for his work from several communities and foundations including Grantmakers for Children, Youth and Families, and the Stanford University Haas Center for Public Service. Together with his wife Ruth, Mario has three children: Isela, Monica and Daniel. Mario holds an MA in public administration from Cal State East Bay and a BA in Political Science from Golden Gate University. Kian Alavi works in community with others to hold spaces for youth where they feel safe and encouraged to shine. Currently, he supports the safety and well-being of 200+ young people in San Francisco. In 2018, the Yerba Buena Center for the Arts named Kian to their YBCA 100, a list of global activists and thought leaders who create change and move society forward. 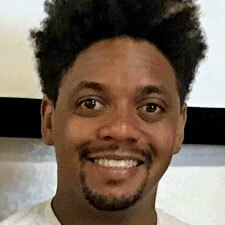 He is founder of the Vision Academy in the Bayview neighborhood, a daily program for children and preteens interested in chess, technology, mentoring, personal growth and culture. (It merged with Good Samaritan in 2015.) He is also lead organizer of the 415 Youth Framework, a social-justice training platform and quarterly learning summit for youth service workers; member of the Bicis del Pueblo Action Team, a community bike-sharing and transportation justice collective; and the Community Representative for District 9 (Mission, Bernal, Portola neighborhoods) on the Transportation Authority’s Citizens Advisory Committee. 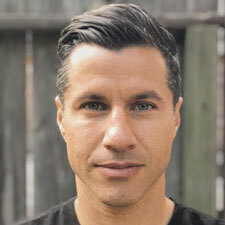 Kian is a first-generation Iranian-American, born in San Francisco to parents who migrated from Tehran in 1964. He has a B.A. in Business Economics from the University of California, Santa Barbara. A Bay Area native, Ed brings an immense passion for working with youth who are at risk of being failed by adult-driven systems. Ed has a diverse, 16-year background in supporting and developing comprehensive school based programs, off site community based programs, and summer camps. He also has experience in gang prevention and intervention, building programs and services in a juvenile detention facility, and working to support special education. An experienced, endorsed California School-Age Consortium trainer, Ed has worked with out-of-school-time professionals across the state. Ed studied Community and Commercial Recreation Administration at California State University, Chico. He lives in the East Bay with his wife, a 6th grade teacher. Julieta Dominguez is the first-generation daughter of immigrants from Mexico who grew up in the Central Valley. 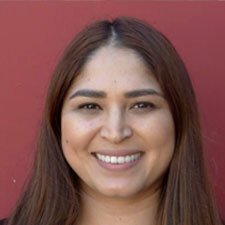 The first to go to college in her family, she is a USC-trained Marriage and Family Therapist. In her first year at Good Samaritan, she is overseeing the organization’s two-generation strategies and programs which aim to help multiple members of immigrant families achieve their dreams. She oversees a holistic set of services that promote: positive parenting; healthy early childhood development; the de-stigmatization of mental health services; and family bonding and attachment. 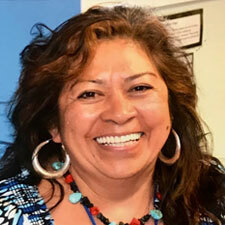 Her early goals at Good Samaritan are to: improve delivery of healing-centered services; coach a growing Family Services staff team;, successfully lead the implementation of family services at El Centro Bayview in its inaugural year; and improve overall program design and delivery. Her clinical expertise in evidence-based practices, theoretical orientations and prior management experience are assets to Good Samaritan. 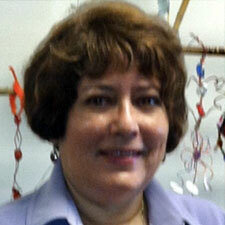 Martha Elena Martinez has focused her career on offering adults and children high-quality learning experiences. In her native Nicaragua, she learned to have “faith that each person has the capacity for learning, critical reflection and moving into action to bring change,” a favorite quotation of hers from Building Communities of Learners. 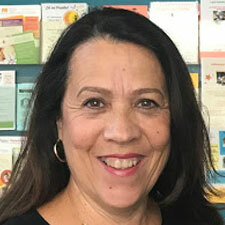 In California, she has enjoyed various roles in the field of Early Care and Education: Martha has been a teacher, administrator, coach, trainer, and assessor. She has also expressed a deep commitment to bilingualism and biliteracy. As an advisory committee member, she helped guide the California Preschool Instructional Network in rolling the first training for the Dual Language Learner Guide. In 2007, Martha won a Jefferson Award for community service for an English Language Learner program focused on adult education, early childhood education, parenting education, and parent and child literacy activities. Martha holds two Masters in Education; a Multiple Subject Credential in (Spanish) Bilingual, Crosscultural, Language and Academic Development; the first tier of the Administrative Credential; and multiple certifications in the Quality Rating and Improvement System (QRIS). 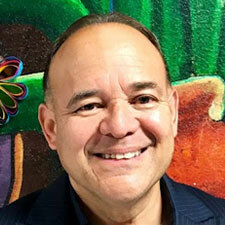 Jaime Aragón, the son of Spanish-speaking parents, has over 15 years of experience in the field of social services. 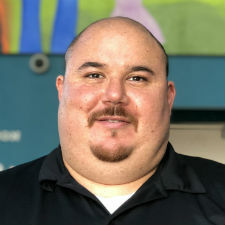 Bilingual, he oversees the intake and outreach team in our Family Services department and manages several community partnerships that have helped Good Samaritan grow its reach. For example, Jaime helped Good Samaritan expand services to residents at Bernal Dwellings Community, an affordable housing complex in the Mission neighborhood. Jaime also spearheads Good Samaritan’s collaborations with: Telecommunication Education Assistance in Multiple Languages (TEAM); the Community Help and Awareness of Natural Gas and Electricity Services (CHANGES), a project of the California Public Utilities Commission; and, the San Francisco Office of Civic Engagement and Immigrant Affairs. Jaime is currently pursuing a degree in Business Administration. He plans to run a non-profit agency in the Bay Area one day that specializes in helping underserved families achieve their dreams. 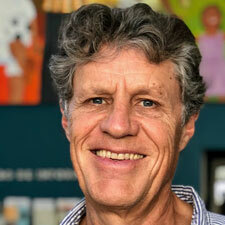 David Banks builds safe spaces for youth and adults to collaborate. He aims to create environments that are inclusive, accessible and welcoming, and that allow people facing structural barriers a chance to manifest their dreams. A San Francisco native, David was raised in a middle class family. He is grateful to have been educated in some of the best schools the City offers. Through his schooling, David became keenly aware of wealth disparities and even bore witness to how unequal environments could limit a young person’s expectations of success. He is proud that as an adult, he can do his part to provide the next generation with the learning opportunities, coaching, guidance, and connections that the privileged in our City enjoy. Erika has been working in the field of youth development for 9 years. She has a wide range of experience ranging from volunteerism to program management. The majority of her experience is in working with middle school youth. Erika has had the opportunity to work with youth at multiple SFUSD schools including Everett, Francisco, and Willie L. Brown Jr. Middle School. 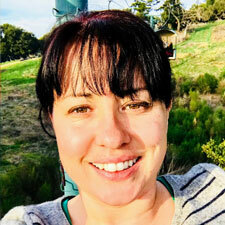 She has served on the Beacon Bridge Committee for over two years working to collaborate and support the greater network of SF Beacons by sharing best practices and providing professional development opportunities for staff. Erika earned a BS in Public Health from San Francisco State with an emphasis in community based non-profit work and a minor in Criminal Justice. 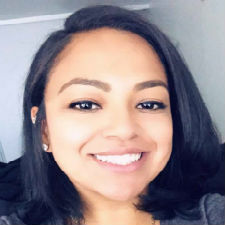 Being an English Language Learner with Spanish as her first language, Erika has a passion for working with and supporting Newcomer and Immigrant families. Erika was the second in her family to graduate from college. She is committed to creating opportunities for and supporting underserved youth in order to pay forward the support that she received early on in her academic career which she feel has led to her success. Claudia Cisneros is a Mexican immigrant, feminist, and an advocate for women of color, immigrants as well as survivors of domestic violence. 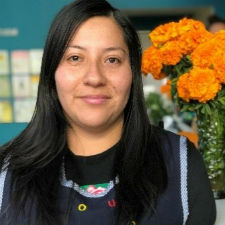 As the Family Support Manager at Good Samaritan, she supervises family advocates, facilitates family-centered programs, and connects participants with community resources. 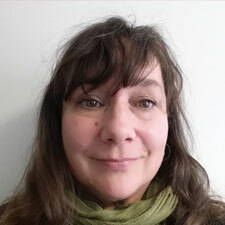 Claudia started at Good Samaritan as a Family Advocate and Differential Response Liaison in 2016, and in the years since has enjoyed working with the collaborative Family Support team. Inspired by the Latino families she meets here, Claudia strives to improve conditions and outcomes for immigrant families in San Francisco. Claudia has an AA in Women’s Studies from City College of San Francisco. In Mexico, she earned both a BA in Law and an MA in Forensic Psychology. Nancy Hernandez has spent over 18 years incorporating art and direct action into Bay Area movements for social justice. 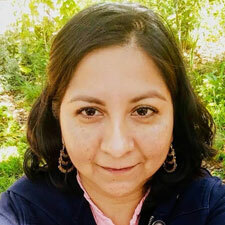 With a Bachelor of Arts in Raza Studies and a minor in Art Education, Nancy is also a trainer for de-escalation tactics, media, campaign strategy, and art in action. 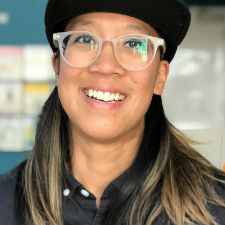 She supervises members of our youth services team, each of whom specializes in working with immigrant and first generation students in culturally-affirming ways. 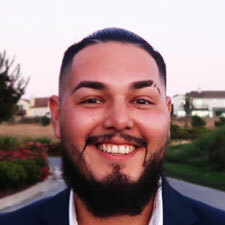 Chris Ramirez is a San Francisco native currently earning his B.A in Child Development and M.A in Teaching English as a Second Language (TESOL). In 2013, he began as a volunteer at Good Samaritan’s Vision Academy; now he manages the program. He believes in empowering young people to become the leaders we need and knows they can bridge gaps between cultures in our City. 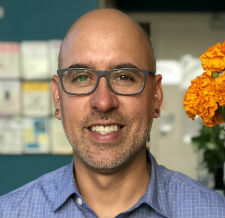 Being a Mexican-American, Chris has a deep personal connection to those facing the struggles of the Latino diaspora and the culture clash of assimilation. In the future, he intends to become an English teacher overseas. In the meantime, his hobbies include listening to 80’s Rock, watching anime, hiking, and illustrating comic strips. 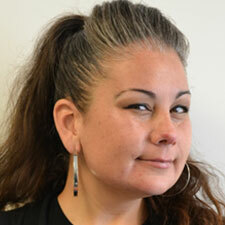 Prior to her work at Good Samaritan, Maria worked at the Mission Child Care Consortium Center for 3 years. Looking for staff not pictured? See Good Samaritan’s Staff Roster.